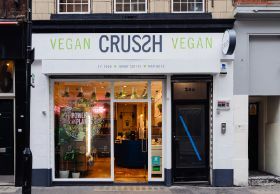 London health food chain Crussh has announced that its Soho branch will remain vegan for at least another month after it got a positive response from customers and critics. The trial, which saw the chain turn its store on London’s Broadwick Street vegan for Veganuary, will now continue until at least the end of February. This will give the business more insight into whether becoming fully plant-based could be a sustainable model going forward. Helen Harrison, head of marketing at Crussh, said: “Customer response has been fascinating and incredibly positive. Our regulars have been really supportive of the idea, welcoming the fact that we’re making it so easy for them to choose a plant-based option. “Plus, we’ve also been able to reach new customers; vegans, more vegetarians and those opting for a flexitarian approach. “We’ve also had some great feedback from those with dairy allergies who can now come to the store and choose whatever they like, without having to be mindful of allergens. Already a destination for vegans, Crussh has 35 stores across London and the surrounding area. Its food and drink range is already 70 per cent vegetarian and over 45 per cent plant-based – an increase from 22 per cent in January 2017. 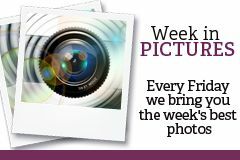 It currently sells over 50 vegan products at its regular branches, while the Broadwick street branch has offered 70 vegan recipes. To celebrate the continuation of the trial, the Broadwick Street branch gave away a free hot scrambled tofu breakfast pot to the first 50 customers today (1 February).